Russia stands for long-term and multifaceted Russian-Iranian cooperation in the military sphere, Russian Defense Minister Sergei Shoigu said Tuesday at a meeting with his Iranian counterpart Hossein Dehghan. “Our relations are distinguished by a high level of confidential political dialogue, a willingness to coordinate the approaches to a wide range of global and regional issues. We are in favor of long-term and multifaceted Russian-Iranian military cooperation,” Shoigu said. Today, the Minister of Defence General of the Army Sergei Shoigu has held teleconference with the leadership of the Russian Armed Forces. In his opening speech, the Russian Defence Minister General of the Army Sergei Shoigu stated that the Russian Navy aircraft carrying strike group headed by the Pyotr Velikiy missile cruiser had reached the Mediterranean Sea through the eastern part of the Atlantic Ocean last week. “Auxiliary vessels replenished all types of supplies of the ship grouping on October 27-29,” said General of the Army Sergei Shoigu. He noted that the transfer of the Russian ships had caused great stupefaction of the western partners. “However, we were very surprised with position taken by countries, which had refused to let our warships to enter their ports under the pressure of the USA and NATO”, stressed General of the Army Sergei Shoigu. According to the Defence Minister, this fact had no influence on the schedule of the naval group moving along the assigned route as the ships had been provided with everything necessary. This also refers to the force grouping in Hmeymim and Tartus, which had been receiving two tons of different cargos a day. “Another thing is important. As we can see, this way our partners realize their contribution to fight the international terrorism in Syria. By now, the western counterparts should have decided who they are fighting against: terrorists or Russia”, noted the Defence Minister. “Perhaps they forgot who caused killing of innocent people by terrorist attacks in Belgium, France, Egypt, Iraq, and other countries,” added the head of the military department. Speaking about the situation in Syria, the Defence Minister reminded that there were eight opened humanitarian corridors. The Russian centre for reconciliation of opposing sides has been delivering humanitarian aid daily. The Russian aviation has not been performing operations in Aleppo within last 16 days under the order of the Supreme Commander-in-Chief of the Russian Armed Forces. “At the same time, more than 2,000 so-called moderate oppositionists assisted by 22 ‘moderate’ tanks, 15 infantry fighting vehicles, 8 jihad-mobiles with suicide bombers, and multiple launch rocket systems were carrying out massive attacks and shelling against residential quarters, schools and hospitals. Most part of this hardware of insurgents has already been eliminated,” stated General of the Army Sergei Shoigu. According to the Russian Defence Minister, insurgents have been executing civilians every day for their efforts to reach the humanitarian corridors. “Is this the opposition possible to negotiate with?” said the head of the Russian military department. General of the Army Sergei Shoigu stated that it was necessary to operate collectively in order to fight terrorism in Syria instead of putting spokes in partners’ wheels. According to General of the Army Sergei Shoigu, insurgents do use advantages of this. “Prospects of the start of the political process and their return to peaceful life are postponed to uncertain period of time,” state General of the Army Sergei Shoigu. Issues of modernization of manufacturing capacity for production of prospective missile and space hardware as well as optimization of the non-public automobile road network of the Russian Defence Ministry were also discussed during the teleconference. Turning to the first issue, the head of the military department noted that modern technologies and new manufacturing capacities were essential for successful creation of missile and space hardware. “The budget fully provides realization of these tasks. We will control the process of production of the rocket,” stated General of the Army Sergei Shoigu. According to General of the Army Sergei Shoigu, optimization of the non-public automobile road network is held along with development of the military infrastructure. “Moreover, we are interesting in providing maintenance to those parts of the road network, which are used in the interests of the Armed Forces only,” stressed the Defence Minister explaining that the budget funds will be spent more effectively this way. Before listening to reports, General of the Army Sergei Shoigu reminded that the second all-Russian information and propaganda campaign “There is such a profession – defend the Motherland!” was taking place. “Its main task is to inform young people who want to enter educational establishments of the Ministry of Defence about the positive changes in the army, military education benefits and service under the contract”, – said the Minister of Defence. He said that the systematic and active work on military-professional orientation of young people brings positive results. “This year’s competition in military colleges has increased, on average it is up to 4 people for the place. Ladies are taking an increasing interest in military service. In a number of universities 16 candidates competed for the chance to enter the educational establishment,” – said General of the Army Sergei Shoigu. The Defence Minister expressed confidence that the agitation campaign would contribute to full and high quality student enrollment in the military educational institutions of the Ministry of Defence in 2017. The Defence Minister addressed to the participants of the conference: “I ask the military authorities to take personal charge of organizing meetings with graduates from educational institutions, their parents and servicemen». General of the Army Sergei Shoigu also assigned a task to ensure broad information support of these events in mass media, including Internet. The National Centre for State Defence Control and the Main Personnel Directorate are to control the progress of the action. Today, the Russian Defence Minister General of the Army Sergei Shoigu held teleconference with the leadership of the Russian Armed Forces. Issues of implementation of the State Defence Order and realization of 2020 Activity Plan of the Defence Ministry in military districts and the Northern Fleet were discussed in course of the teleconference. Before listening to reports of the leadership, the Head of the defence department informed the participants about decisions aimed at situation stabilization in the area of the Aleppo city (Syrian Arab Republic). “Today, strikes by the Russian Aerospace Forces and the Syrian Air Force are finished at 10:00 (MSK) in the area of Aleppo. Early termination of the airstrikes is essential for holding a “humanitarian pause” on October 20, 2016”, said General of the Army Sergei Shoigu. According to him, it will allow to guarantee security of civilians leaving the city through 6 humanitarian corridors and to prepare casualty and medical evacuation from the eastern part of Aleppo. “We apply to the leadership of countries influencing on armed formations active in the eastern part of Aleppo with a proposal to convince their leaders to stop warfare and leave the city,” stated the Minister of Defence. According to General of the Army Sergei Shoigu, by the start of the “humanitarian pause” the Syrian troops will have been withdrawn to the distance safe for insurgents to leave the city with weapons through two special corridors: one – along the Kastello road, second – in the area of Suk al-Hai market. “We believe that the Russian initiative is to promote success of work held by military experts from different countries, which starts tomorrow in Geneva,” said General of the Army Sergei Shoigu. In accordance to the Defence Minister, the work is mainly aimed at dividing terrorists from the “moderate opposition” and their withdrawal from the eastern part of Aleppo. A group of Russian military specialists have already arrived in Geneva. “Everyone who is really interested in the early situation stabilization in the Aleppo city is to launch real practical activities instead of political red taping,” said the Minister of Defence. Head of the Russian defence department General of the Army Sergei Shoigu arrived in Yerevan to participate in session of the Council of the Ministers of Foreign Affairs and Council of the CSTO Defence Ministers. In particular, session participants discussed issues of weapons standardization and development of joint military educational system. Moreover, the Ministers are to approve the plan of joint activities of operational and combat training for 2017. Russian Defense Minister Sergei Shoigu dismissed on Monday claims by US Defense Secretary Ash Carter accusing Russia of undermining the international order. According to the minister, preserving the world order is a natural prerogative of the entire international community, including Russia, not only the Pentagon. “Pentagon should not confuse the “world order’ with the “US-imposed order,” Shoigu said in a statement responding to remarks made by Carter on a recent trip to the UK. “It was the United States and its Western partners that have been consistently destroying the foundations of the existing world order, starting with Bosnia and Kosovo, and ending with Iraq and Libya,” Shoigu stressed. 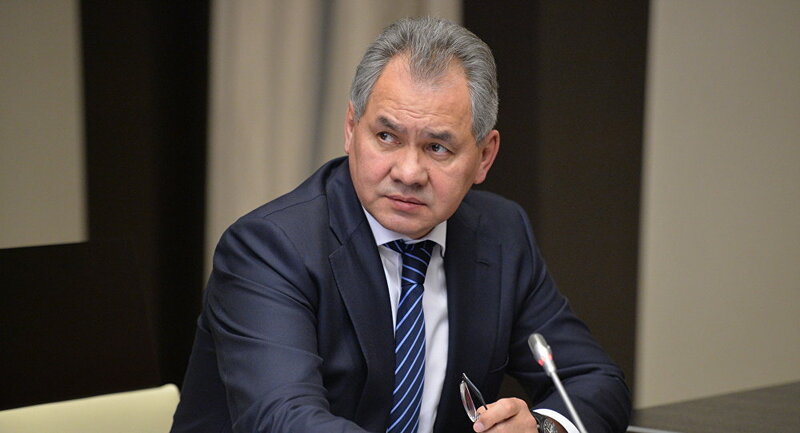 “Russia is always striving to preserve a just and multi-polar world order in the interests of all countries, not some groups of select countries or, especially, of a single state,” Shoigu stressed.